Autoimmune diseases have gotten a lot of press in the past decade or so, because scientists have developed biologic agents that have been able to slow or halt the progression of many of these diseases. The list includes the usual suspects you have seen on television commercials like rheumatoid arthritis, plaque psoriasis or Crohn’s disease. But the category also includes conditions like type 1 diabetes, lupus, multiple sclerosis and nearly twenty other medical conditions. Well, these conditions may be poised to get some more attention. Researchers in the United Kingdom have found a link between patients who early in their lives have been diagnosed with an autoimmune condition and those same patients later developing dementia. This includes both Alzheimer’s disease and vascular dementia. It all comes down to big numbers. The researchers accumulated data on roughly 1.8 million patients who had been diagnosed and treated for autoimmune conditions between 1998 and 2012. They also had a control group of about 7 million patients – those who had not been diagnosed with an autoimmune condition. Of the 25 autoimmune conditions, 18 of them proved to be statistical predictors of later development of dementia. The disease with the most dementia diagnoses later was hypothyroidism. Over all the autoimmune conditions, the risk of developing dementia later was about twenty percent higher than for the control cohort. That said, we are talking very small risks for either group. Of the dementias, Alzheimer’s disease was a slightly lower risk outcome than vascular dementia. The researchers speculate that as patients with a disease like RA likely will be taking NSAIDS like naproxen or ibuprofen which may also have a neuroprotective effect against Alzheimer’s disease. Overall, the risk for developing any dementia was slightly higher for men over women, but there was substantial variability across specific autoimmune diseases. 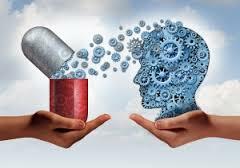 The research seems in general to be encouraging further study of anti-inflammatory drugs as preventive care against dementia…perhaps to see if the same anti-inflammatory drugs that address autoimmune conditions can have an effect on neuroinflammation. The Alzheimer’s Association is taking this seriously. Last year they announced a $7million investment in clinical trials looking at drugs addressing brain inflammation. The researchers suggest that the data are preliminary, but admit that the inflammatory route is worth more analysis. Charlotte Bishop is a Geriatric Care Manager and founder of Creative Care Management, certified professionals who are geriatric advocates, resources, counselors and friends to older adults and their families in metropolitan Chicago. Please email your questions to info@creativecaremanagement.com. It is not just prescription drugs that should concern you. Most of the medicines that we all purchase over the counter (OTC) were once prescription medicines. They can represent potentially harmful side effects like Tylenol with its potential for liver toxicity. And don't forget that even aspirin is an acid; but it was on the drug store shelf before there was an FDA to protect us from its stomach slide effects. 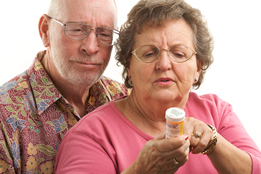 Keep track of all the medicines your elder may be taking (and include the OTC meds). Most doctors' offices are getting very good about asking what medicines are being taken with each visit, but be prepared with your loved one's lists at each visit. And ask if any can be dropped; you may be surprised at how many prescriptions handle the side effect of another medication. Be careful about how a medication is to be taken. Make sure your older loved one and you both understand the time of day a drug is to be taken, with or without food or how it might interact with another medication or even certain foods. Read the fine print. Every prescription has something pharmacists call the package insert or PI. 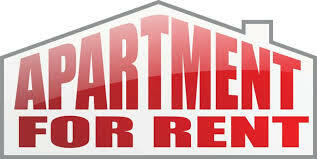 Read the indications and usage section of this long page and call your provider with any questions. Also read the adverse events to make note of anything that has a greater than 5% incidence - and what steps to take should that event happen. Make sure you watch for anything out of the ordinary and ask your loved one how they feel. It may be just a dry mouth, or it may be hard stools or other side effects they may not volunteer. Everything is important to monitor. And if your loved one suddenly has any difficulty breathing or feels anxious, call your provider. Underlying all of these caveats, appreciate that your older loved one has less fluid per pound than a younger adult. Their metabolisms also function more slowly. And most drug trials are conducted only with younger and healthier adults, so side effects may be minimal and less consequential. Birthdays and drugs may have bigger side effects than the pharmaceutical companies may have found in their trials. Charlotte Bishop is founder of Creative Care Management, a team of geriatric care managers, certified professionals, advocates, resources, counselors and friends to older adults and their families in metropolitan Chicago. Please email your questions to info@creativecasemanagement.com. The wait is over – for me, I mean. I have been really excited to share our book, How Do I Know You? A Caregiver’s Lifesaver for Dealing with Dementia. Now, I am going to share a special discount to those of you who have been following my blog, but it’s just for this week. Of course, if you want to pay full price, you can do directly to Amazon: https://www.amazon.com/s/ref=nb_sb_noss?url=search-alias%3Daps&field-keywords=c.+charlotte+bishop But if you would like $10.00 off the Amazon price, I invite you to follow this link: https://www.createspace.com/7325804 Apply the discount code: ZH3VK3U6. I am offering the discount for just this week. Please let me share one of the case studies from our book. This is a real-life experience from one of the more than 30 Care Managers whom we interviewed to compile 350 case studies. We call this Case Study 1.4: • Elopement is a home security risk from the inside out • Dementia is a risk for scams, assault and exposure • Identify what can still be done safely – independently or with help The caregiver is the 59 year old daughter, one of six siblings, who are dispersed around the country. Their father, a widower, is an insulin-dependent diabetic, but in good physical health otherwise. The father manifests some frontal lobe dementia, a condition which increases impulsivity, and which has caused him to lose almost a million dollars on women and gambling, the combination of which has placed him at risk for bankruptcy. Enter the professional care manager into what amounted to a five-alarm fire. With a coordinated intervention, the father was placed on a strict budget with his son, a banker, overseeing his bankruptcy proceeding - which is about to be resolved. While the father is under financial control, he still must be kept in a monitored environment as he is too aggressive with younger women owing to his poor impulse control. He has been successfully moved to assisted living to help mitigate his elopement risk and better manage his blood glucose levels. The father has been “a handful” in the words of the staff, but once trust had been established, he could be cajoled into responding to reasonable demands. His long-term prospects are very favorable. OUR TAKEAWAY: Helping the father get to a facility and to care that could set appropriate boundaries and protect him from exploitation could not have been possible without proper legal paperwork in place. While guardianship may not be a necessary part of a solution in a case like this, having powers of attorney for both healthcare and finance had been key. The professional care manager extolls the virtues of the staff who could gain the care receiver’s trust, and soon he was relatively easy to redirect – or as she put it, cajole – him into more socially-appropriate behavior. 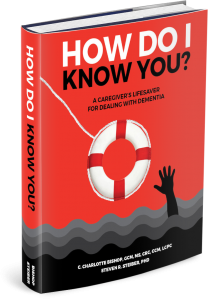 In the book, we cover what we know about dementia, what can be done to stave off the effects of dementia and most importantly what caregivers can do for their loved ones with dementia and for themselves. We also offer a lot of resources, many of them accessible on-line. Charlotte Bishop is a Geriatric Care Manager and founder of Creative Care Management, certified professionals who are geriatric advocates, resources, counselors and friends to older adults and their families in metropolitan Chicago. While we are well aware that we are a long way from a "cure" for Alzheimer's Disease (AD) or any of the other manifestations of dementia, research is starting to suggest that lifestyle can hasten the progression of the disease or it can slow it. On the positive side, we may only be slowing a disease progression, but with more studies on interventions that help in this direction we could one day get to the point that Alzheimer's will not be the game ender it now is. So, the positive first. It is called mindfulness-based stress reduction, or MBSR. Researchers have long known that stress fuels mental deterioration with some recent data showing that stress increases the risk of developing mild cognitive impairment (MCI) or AD. The research further shows that more than half of patients with MCI will continue to develop full-blown dementia within five years. Researchers at Harvard Medical School wanted to see if stress reduction in prime AD candidates could make a positive difference so they created a very small clinical study, what they call a proof of concept study. In this study, they divided 14 individuals with mild cognitive impairment already into two groups. The MBSR groups received training in mindfulness meditation and yoga, and the control group received the usual care of MCI patients. Over the course of eight weeks, the MBSR group received a two-hour treatment weekly and were given 30-minute meditative audio recordings for daily home listening. Both groups were given MRIs at the beginning of the study and at the end. The experimental group had less progression at the end of the study than the control group, but the results were only just barely statistically significant (because of the small samples). In fairness, the study was very small and lasted only a short time, so can we really say that everyone should get on board with meditation and yoga to slow cognitive decline? One of the researchers said it best when he simply stated that it couldn't hurt, and that it might actually help, and it deserves more attention. Your call on this one. Contrast this with research that we have been hearing about in which individuals with traumatic brain injury see an acceleration of their cognitive decline. This is confirmed by autopsies of the brains of individuals who have died. Those with a history of trauma have more deterioration than those who do not. But TBI represents an extreme case. If you are a caregiver to an older adult, you might consider exposing them to meditative or yoga programs on a fairly regular schedule. And if your older loved one has any history of concussive or trauma events, starting earlier rather than later may be a good idea. Like the doctor said: it could help, and it will not hurt. Charlotte Bishop is a Geriatric Care Manager and founder of Creative Care Management, certified professionals who are geriatric advocates, resources, counselors and friends to older adults and their families in metropolitan Chicago. Please email your questions to info@creativecaremanagement.com. I like Simple. If you do also, then you will like the American Heart Association’s and American Stroke Association’s “Life’s Simple Seven.” In short, what they find is: what works well for cardiovascular health also shows the promise of working really well to stave off dementia caused by strokes, vascular dementia, and even Alzheimer’s disease. If you have an older loved one whom you would like to see have a healthier heart, you will get the added benefit of a healthier brain by encouraging the Simple Seven. And there is a bonus...it also will work for you! The seven steps that have been recommended to improve heath health now also are considered as important to improving your brain’s health. "Life's Simple 7" are considered to help prevent dementia caused by strokes, vascular dementia, and Alzheimer's disease. They have been chosen by AHA and ASA as metrics to help confer brain health. "…the same risk factors that cause atherosclerosis are also major contributors to late-life cognitive impairment and Alzheimer's disease," commented Philip Gorelick, MD, Mercy Health Hauenstein Neurosciences in Grand Rapids, Michigan, chair of the advisory writing group. The seven steps are a combination of individual characteristics and behaviors that help to foster better brain as well as heart health: 1. Don’t smoke 2. 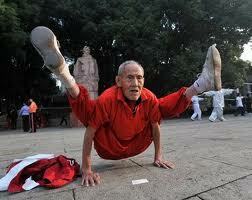 Be physically active 3. Maintain or reduce body mass index to less than a 25 on the scale 4. Have a healthy diet – there are guidelines for this 5. With a combination of exercise/reduced weight have a blood pressure of <120/80 mm Hg 6. Without meds (but with diet and exercise), have a total cholesterol <200 mg/dL 7. Maintain an A1C (fasting blood glucose) < 100 mg/dL Before this most recent analysis, researchers tended to look at brain health and heart health as pretty much different conditions caused by different lifestyle or health behaviors. But "over time we have learned that the same risk factors for stroke that are referred to in Life's Simple 7 are also risk factors for Alzheimer's disease and possibly for some of the other neurodegenerative disorders," Dr Gorelick noted. All of this is a step toward better brain health while at the same time promoting better heart health. This is one of those fortunate opportunities where a person can get two for the price of one. Take better care of your heart and you get better brain health as a bonus. 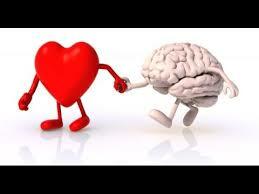 Take better care of your brain, and your heart also gets a benefit. Not a bad bargain for anyone who is a bargain shopper…no coupons required. Be healthy. Charlotte Bishop is an Aging Life Care Advisor, Geriatric Care Manager and founder of Creative Care Management, certified professionals who are geriatric advocates, resources, counselors and friends to older adults and their families in metropolitan Chicago.